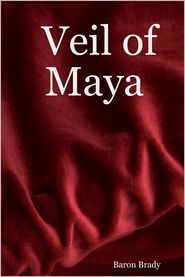 VEIL OF MAYA examines a week in the lives of five characters living in a nondescript urban metropolis. But while all cities may be fundamentally alike, the same can’t be said of the people. And the characters in Veil of Maya couldn’t be more different from one another. And they tell the story the only way they know how: from their own perspective. Two of the characters are homeless men: one, our crippled narrator, embittered beyond words and anxious to draw blood; and the other, surprisingly well-fed and the very picture of Buddha-like equanimity. When the narrator takes an unsavory interest in an idealistic young man with literary aspirations, the other one vows to oppose him. What follows becomes a battle over one young man’s soul.